Younger men and women who start losing their hair may not want to jump right to hair transplantation surgeries. There are surgical hair restoration options that can help patients to have cosmetic improvements. Hair restoration can help patients to re-create the look and feel of their natural hair that can be cut and styled in any way. Why should I choose a surgical hair loss treatment? Many patients who are looking for treatment do not yet have significant hair loss. This may also be a good solution for patients who do not have enough donor hair to do a hair transplant. 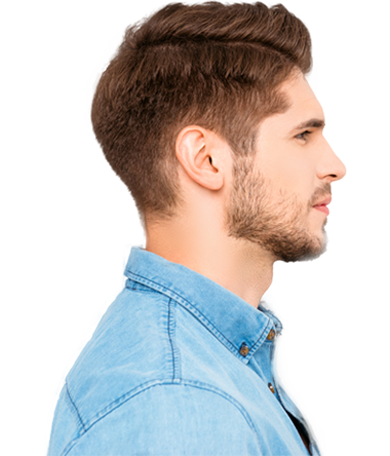 There are also a great number of patients who wish to achieve natural looking hair gradually, instead of having a full head of hair overnight after a hair transplant surgery. When should I consider hair restoration? 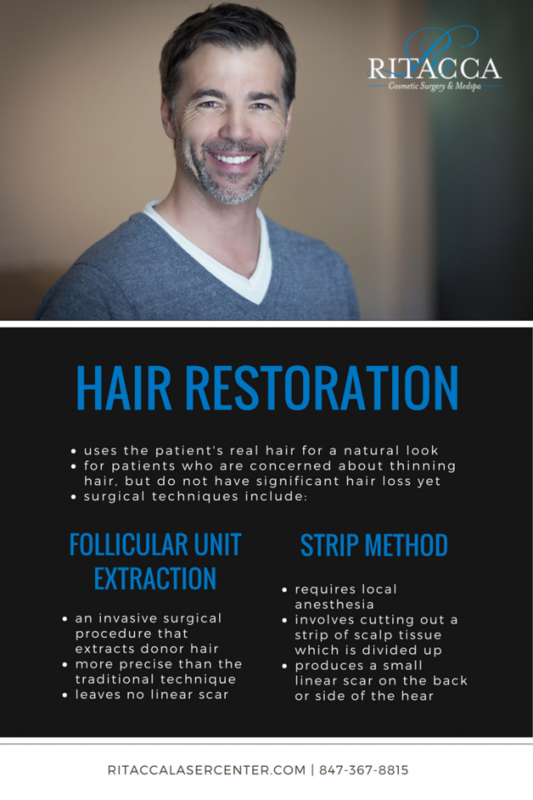 If you are troubled by your thinning hair, you may want to discuss surgical hair restoration with Dr. Ritacca. Hair loss is a gradual and progressive condition and you may benefit greatly be intervening early on.